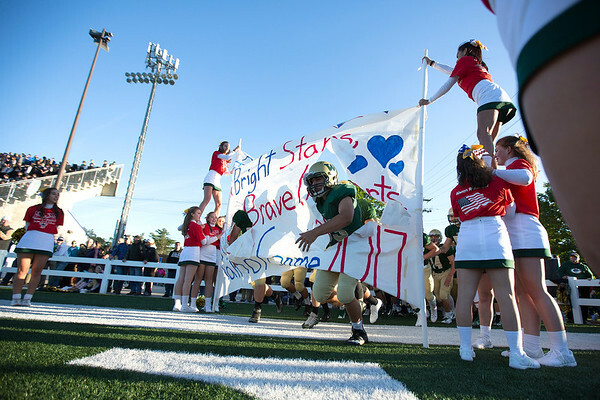 The Traverse City West Titans and Traverse City Central Trojans played in the annual TC Patriot Game at Thirlby Field on Friday. The game honors local active military, veterans and first responders. West won 29-27.